Yorkshire's Iron Void's 2014 debut was a long time coming, but well worth the wait. 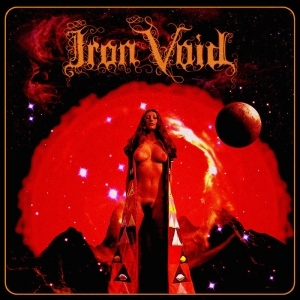 Released in 2014, 16 years after the initial formation of the band, 'Iron Void' marks the debut full length release of Yorkshire's Iron Void. It's a well packaged release with an album cover featuring striking artwork reminiscent of a classic Hammer Horror movie poster that depicts a young lady in a state of undress with a backdrop of mountains and twinkling stars. Bold and eye-catching, it's clear even before the cd starts to play that this eponymous first album is going to be a heavy, Doom-laden trip. And so it proves. Opening track, 'Tyrant's Crown', gets proceedings off to a strong start with a thumping Trad Doom riff, a powerful vocal delivery from singer/bass player, Jonathan 'Sealey' Seale, with a melancholy promise that 'Doom awaits for me and you/building temples just to fall/into ashes one and all'. Tied together with a memorable and infectious chorus, it gets 'Iron Void' off to a flier. 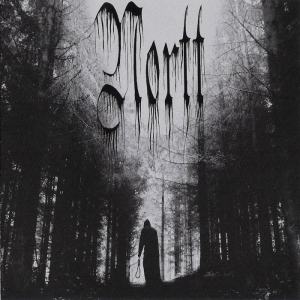 It's a standard that is maintained throughout the album with some strong Trad Doom tracks featuring some monolithic riffing, accomplished soloing and well-crafted song writing. Numerous interesting themes are touched on with cultural references aplenty, some anti-war sentiments, along with good, old fashioned sorrowful Doom introspection liberally applied for good measure. 'Necropolis (C.O.T.D)' begins with a voice sample from seminal 1960s Hammer classic, 'The Plague of the Zombies', whilst 'The Mad Monk', in a nod to the Christopher Lee fronted movie of the same name, is a glorious Trad Doom masterclass dripping with the kind of menace that Rasputin himself would no doubt have thoroughly approved of. Iron Void largely maintain a moderate Trad Doom tempo throughout, but there is still plenty of variation to keep things interesting. 'Own Worst Enemy', the shortest track on the album at just over three minutes is a furious burst of aggression, with harsher vocals than the predominantly clean style throughout most other tracks, whilst final track, 'Xylanthia' is a mellow, contemplative number that brings the album to a close with a hint of Stoner Doom. Elsewhere, the mighty 'Outlaw' is not only potentially unique in the Doom genre in featuring the green-clad hero of English folklore, Robin Hood, but boasts a lumbering, skull-crushing Doom riff - possibly the finest of a very fine bunch - a stomping chorus of 'he is the hooded man/robs from the rich to give to the poor/all hail the outlaw', and a passage as the track ends that's heavier than Little John after a fortnight of feasting and merrymaking. All in all, this eponymous first offering is a mighty fine debut containing ten solid tracks of well crafted, malevolent Trad Doom. 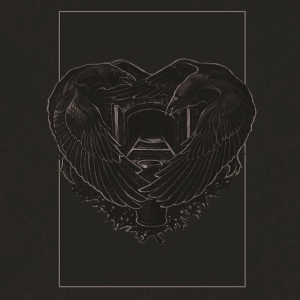 With some interesting lyrical themes, thoughtful lyrics, and tight musical performances from this Yorkshire Doom power trio, it's an album that was a long time coming, but one that was worth the wait. There's an urgency in the music as though these songs were yearning to be unleashed that brings a primal power to the album and augurs well for future releases. 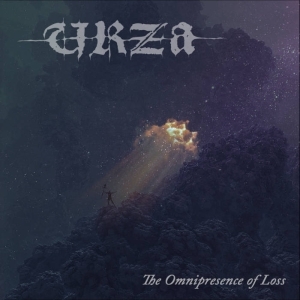 Click HERE to discuss this review on the doom-metal forum. Visit the Iron Void bandpage.